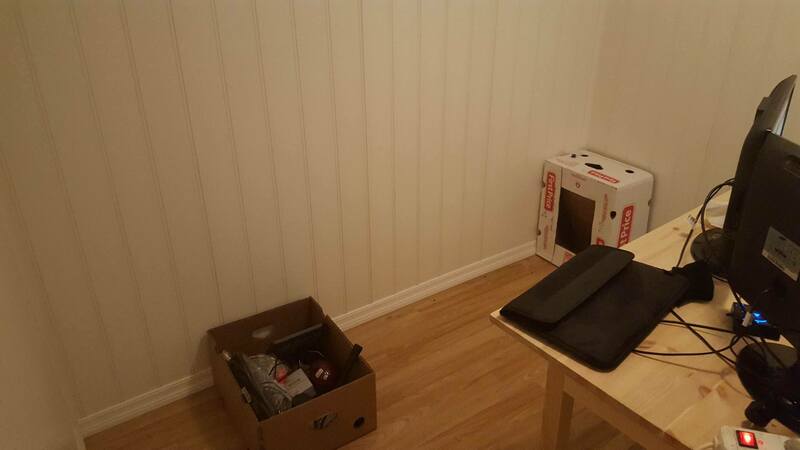 I figured this could be a great place to ask, as I just rented a place and I would love to make this room as close to soundproof as possible. 8 * 10 feet, or for us metric users: 2.45 meters * 3 meters approximately to work with (as seen in the image here). on the image to hang curtains around and soundproof even more. Kind of like a double-layer for the microphone area or such. Any idea how I can go about doing this? I appreciate all answers, and I can throw more pictures in if it's needed. The main thing is I want to soundproof the whole room, but mainly I just want to try singing without anyone hearing me. I had to delete the previous reply due to the fact that is for acoustical conditioning of the room for echo and reverberation timing. To reduce the noise leaving the room you must double or triple the weight of the walls. The first question that needs to be asked is what is the current wall/ ceiling assembly? The next question to be asked is how loud are you getting in the room and how much can be currently heard on the other side?? Once this is answered we can assist in coming up with a cost effective solution.